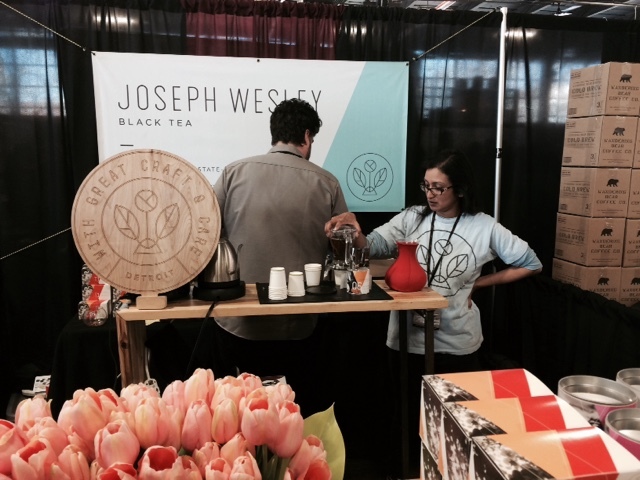 This year's Coffee & Tea Festival was held at the Brooklyn Expo in Greenpoint. My subway trip to the festival was a comedy of errors but my entrance couldn't have been easier thanks to a press pass from Starfish Junction. I was unprepared for the crowd. Actually that's not accurate. I expected a lot of people but I did not expect the tightness of the space. I was initially overwhelmed by the sheer press of people but then realized that this was a great boon for the vendors showcasing their teas and coffees and related products. 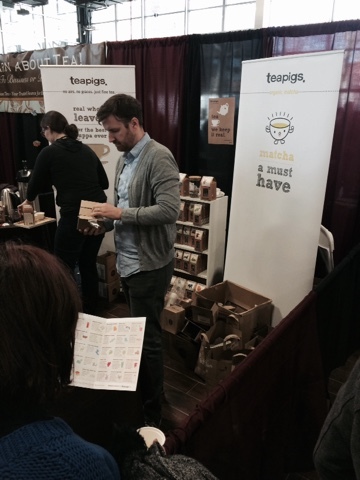 I got to practice patience - waiting my turn to taste teas and to speak with company founders. 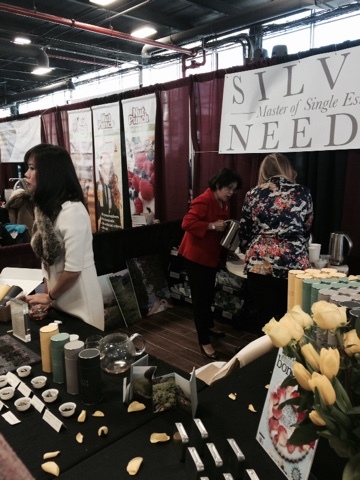 I visited all the tea booths on my list -- Silver Needle, Damn Fine, Joseph Wesley - with the exception of Numi. Sorry! I also sampled matcha at teapigs. I came across two new-to-me companies. I tasted (and purchased) an Icho sencha from Cha Do Raku and talked briefly with one of the founders of the Brooklyn Tea Company. 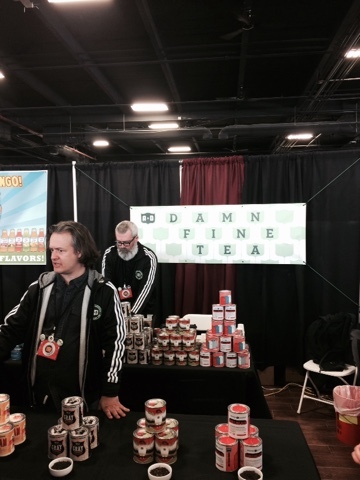 This was my first time at the Coffee & Tea Festival. I have a better sense of what to expect next year, especially if the festival is held at the Expo. There were so many booths I did not visit so looking forward to next year. Also hoping the companies I did visit this year will return in 2016. I bought canisters of tea from Damn Fine Tea (Red Tailed Hawk) and Joseph Wesley (Bai Lin Congfu). So glad I got to meet Joe Uhl! I will review both black tea purchases in the near future so watch this space. Thanks again to Starfish Junction for the press pass.